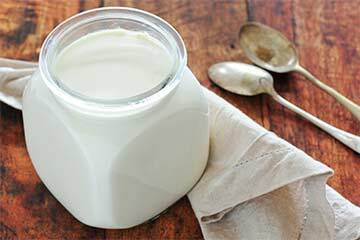 Yogurt has been long known for aiding in weight loss and strengthening the bones. Well, recent study has shown that it is just not true. The study was conducted by the experts at Autonomous University of Madrid, Spain, headed by Esther Lopez-Garcia. It involved over four thousand test subject and at the end of the study no association was found between regular yogurt intake and enhancement in the physical health. The main objective of the study was to learn if there is an association between regular yogurt intake and the enhancement in physical and mental health-related quality of life. The study was carried out on 4445 Spanish adults, and continued for about 3 years and 6 months. According to Lopez-Garcia, the lead author, although, there was a slight improvement, there wasn’t a statistically significant improvement in the subjects taking yogurt in comparison to the subjects who didn’t take yogurt. Previously, many researches had suggested that there might be an influence of regular yogurt consumption on mental and physical health-related quality of life indirectly or directly. Experts believed that the potential reason behind it might be because yogurt is rich source of calcium. Calcium has significant role in protecting bones and combating osteo-muscular conditions. These conditions generally have a great deleterious impact on the quality of one’s life especially in the old age. Also, it was believed that yogurt intake is associated with lower weight gain and lesser risk of cardiovascular problems.